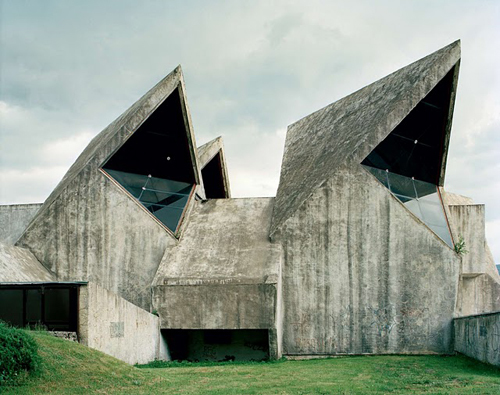 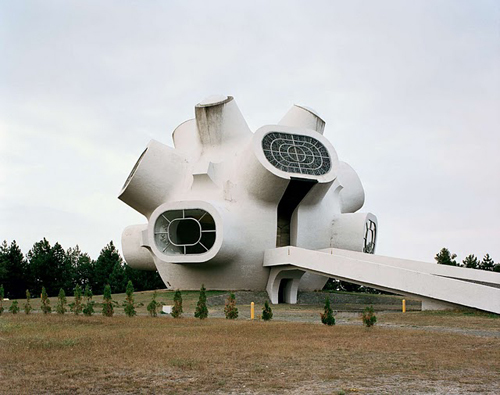 These imposing, space age, Halo-esque structures are monuments of former Yugoslavia’s Socialist Republic. 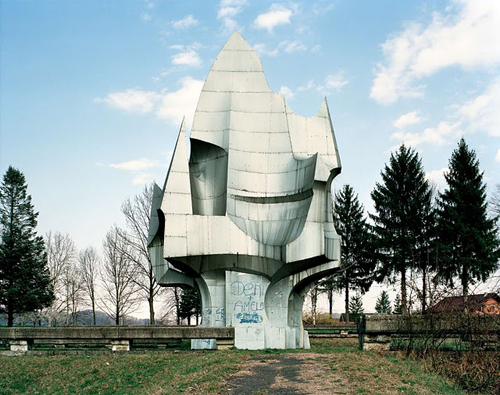 For his project “Spomenik: The End of History,” Belgian photographer Jan Kempenaers spent three years traveling around the Balkans to capture the forgotten structures. 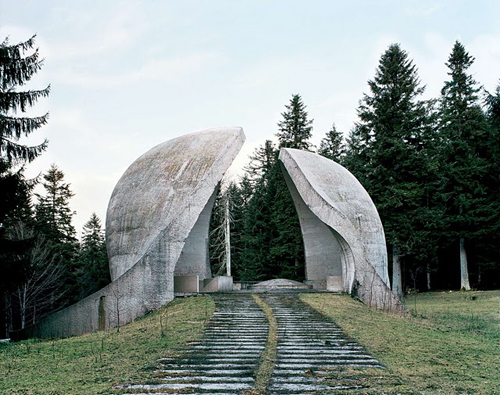 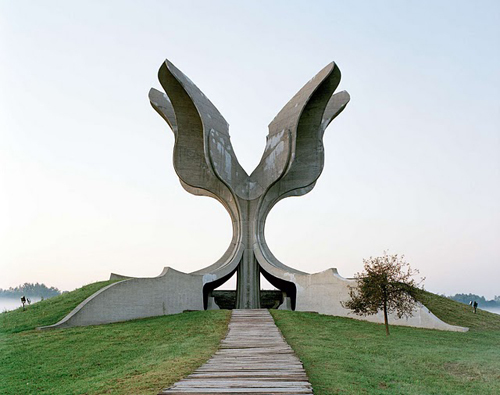 During the 60s and 70s, the Yugoslavian government commissioned hundreds of monuments (“Spomeniks”), built at sites of WWII battles, concentration camps, and cemeteries. 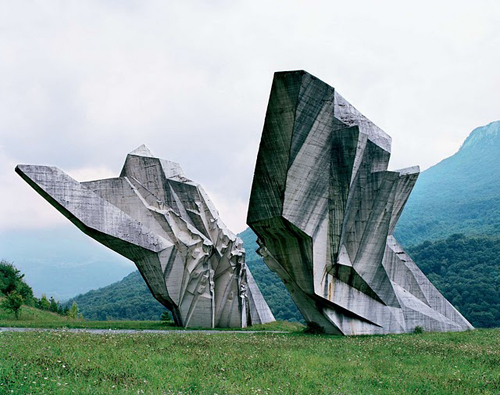 They were intended to commemorate shared experiences of national loss and suffering, and to represent the power of the new republic and unify the people of Yugoslavia around a common history. 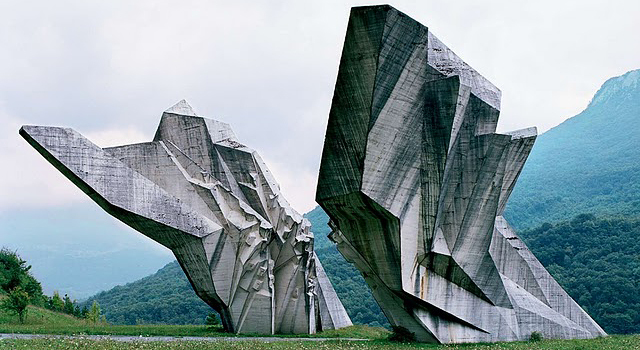 The Spomeniks drew millions of visitors in the 80s, but after Yugoslavia’s violent dissolution, they were abandoned and forgotten. 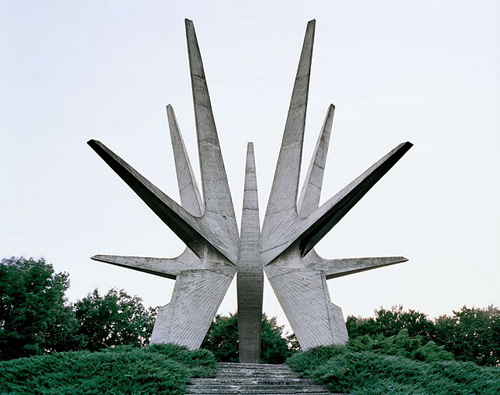 This article has a lot more information about the history of the Spomeniks. 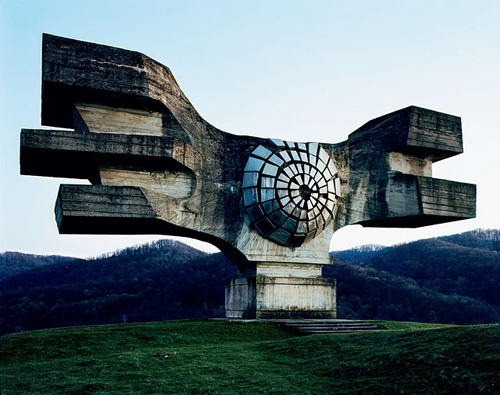 “Spomenik: The End of History” was exhibited at BAM (The Flemish institute for visual, audiovisual and media art) in 2007 and published as a book in 2010. 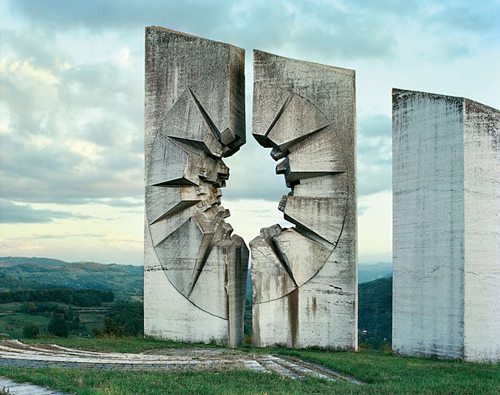 You can look through the whole book here.